Happy bday to myself! YES!!!! This article is a quick comparison at a photoshow: for a more "scientific" comparison look for the previous article. Since the recent micro-contrast articles caused quite a positive stir in the community, there has been some requests regarding the micro-contrast of Zeiss OTUS lenses. Around my birthday (November 5th, yes! remember remember! ), I wandered into a photography show where Zeiss graciously let me enjoy the Classic, the Milvus, the Batis and the OTUS line of lenses they had in their disposal. I was mostly shopping for the Milvus 35mm but I still took the liberty to compare most Zeiss lenses to my modest Nikkor lenses. 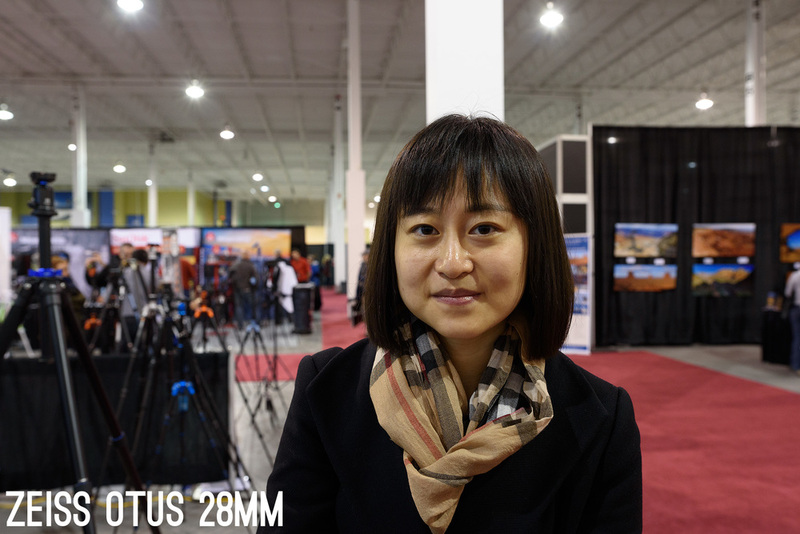 Since their birth, the Zeiss OTUS lenses were well regarded by many as tools to take advantage of modern sensor. Their reviews rate them as kings of the "measurable resolution" charts around the world and their price of 5000$+ makes them almost inaccessible for personal verification. One could only speculate and observe other more fortunate gents enjoy the size and weight of such highly corrected objects of image quality ideals. There's honestly no words to explain how ridiculous such a comparison is. I specifically chose those two lenses since they fall on both end of the spectrum: Church of micro-contrast (and depth rendition), Church of resolution. I hope you get the point. Nikkor on the left, Otus on the right, lets start the fight! As always, this test is easily reproducible through the download of these RAW files. The Micro-contrast test focuses on the tonal values that each lens can record, not the type of pixel detail that each lens can draw. Micro-contrast is tonal based not resolution based. LOOK FOR TONES, NOT PIXELS. Lenses at their "peak sharpness". Obviously, I didn't have much time with the lenses since it's a photo show and lighting condition are less than optimal. I photographed my friend Shaowan that agreed to enter the show with me in order to find the truth. Images look nearly alike this point. Some would say that the OTUS image is more vibrant and they are right since the lack of tonal variations give more presence to larger surfaces of tones. The lack of saturation on the Nikkor side is due to the bit more internal element between element reflection going on, thus the lens showing its age. Lets convert to black and white and watch how the micro-contrast operates. Without a doubt, Shaowan's face has more contrast on the Nikkor image. Lets get in closer (SORRY SHAOWAN!!!). While a smile might create more shadows under the cheeks, the Nikkor is able to reach a wider range of inter-tonal transitions. Notice the OTUS never goes to true black and provides a flatter image since it captures less tonality. Notice the lack of highlight, mid-tones and shadow variations of the OTUS image on the right. The OTUS scarf is also displayed flat as a result of high-element increase. The background blur of the Nikkor image also displays higher micro-contrast than the OTUS. The floor blur of the Nikkor image also displays higher micro-contrast than the OTUS. Okay I'm truly dead... Nice knowing you... sorry again Shaowan! When zoomed in at 300% to look at the subtle tonal shifts at pixel-level, the OTUS fails to differentiate the texture in reality. 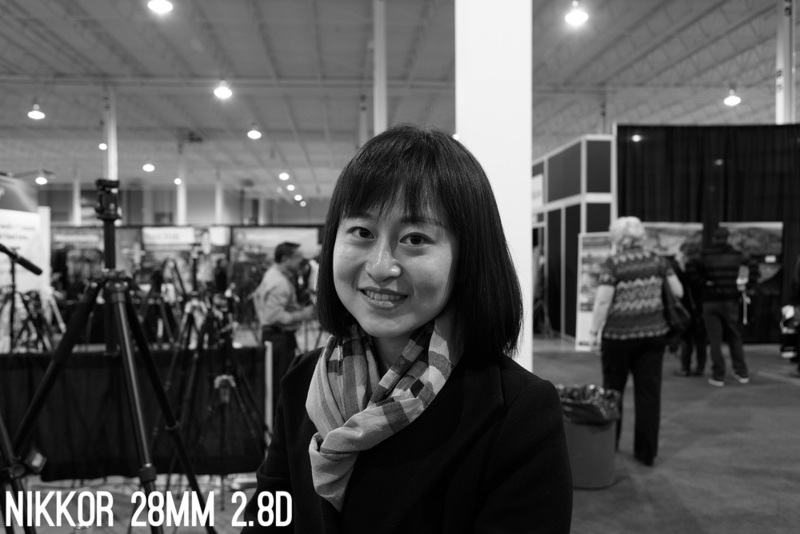 We can clearly see that the 22 years old optical design of the Nikkor 28mm trumps over the fully modern resolution centric design of the OTUS 28mm when it comes to micro-contrast. There is clearly a resolution cult present in this world (more on that later...). One cannot enhance resolution of the lens without affecting other variables such as micro-contrast which directly influences tonality in a photograph and images like these are clear indications of the consequences of maximizing a specific value on a lens. Also, it is a well-known fact that the Nikkor 28mm 2.8D doesn't resolve corners as well as the OTUS. It is also the price to pay for extreme micro-contrast. You can't have everything. Photography is the mariage of art and technology, relying on one extreme too much to find answers is dangerous.